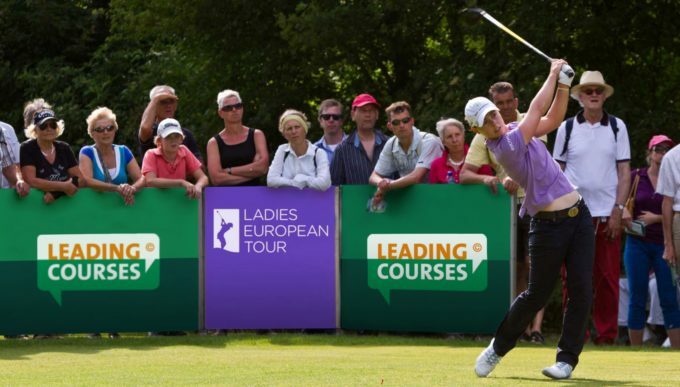 The Ladies European Tour and Leading Courses .Com the largest golf course review platform in Europe, announced that they have combined forces to further promote some of the world’s best championship courses. The two organisations will look to tap into their various resources to allow golfers to discover where to play and engage with golf events internationally. Features of the partnership will include the promotion of each Participating Course on the LET and LET Access Series schedule, offering greater visibility for the tournament venues, while touring professionals will be encouraged to review the courses where they play. The Leadingcourses.com website and App already offer reviews of almost 25,000 courses in nine different languages to a community of 350,000 avid golfers. This reach will now be expanded significantly through the LET’s global network, including engagement with its professional golfers, representing 40 different countries worldwide. The partnership was officially launched ahead of the Jabra Ladies Open at Evian Resort Golf Course in Evian-les-Bains, France, which is the official European qualifier for The Evian Championship, at the same venue. The Jabra Ladies Open is the first Dual Ranking event on the LET and LET Access Series and the first European event on the LET calendar this year. The Ladies European Tour (LET) is headquartered at the Buckinghamshire Golf Club near London and celebrates women’s golf on a global stage. Since its formation 40 years ago, in 1978, the Ladies European Tour has crowned more than 250 different winners as players from 28 countries have lifted more than 730 championship trophies. The LET operates tournaments across six continents and The Solheim Cup, which has been played 15 times biannually since 1990, has become one of the biggest female sporting events in the world. The LET Access Series is the official developmental tour and bridges the gap from amateur to professional golf, giving young players the opportunity to gain valuable competitive experience and progress onto the main tour.